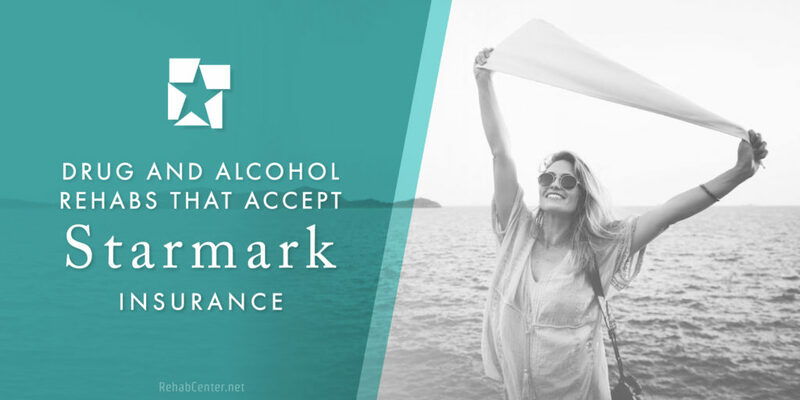 Individuals with Starmark insurance may be able to use their benefits to obtain detoxification and rehabilitation services for a drug addiction or alcoholism. These services may include outpatient or inpatient residential treatment, including treatment for opioid addictions to heroin or prescription painkillers. For over thirty years, Starmark has helped small to midsize business owners tailor healthcare plans for their specific business needs. Starmark Healthy Incentives self-funded plans provide individuals with extensive coverage for their health and medical needs, benefits which may cover substance abuse treatment. 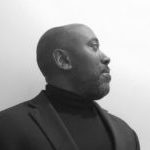 According to their website, their “PPO plans enable access to Starmark Signature Administrators® (ASA) PPO Network, Cigna® PPO Network.” This freedom of provider choice may increase the options a person has for substance abuse treatment. Does Starmark Provide Services For Substance Abuse Treatment? According to Starmark, employer-sponsored healthcare benefits may include coverage for substance abuse. The benefits and coverage for substance abuse treatment will vary from plan to plan. This includes the exact amount of a person’s copays, coinsurance, deductible, and out-of-pocket maximum. To help make this process easier, our representatives can contact Starmark directly to determine how extensive a person’s substance abuse treatment benefits are. Before a person can use their benefits, they may have to provide Starmark with documentation that confirms they’ve been diagnosed with addiction or a substance use disorder. In other words, they will have to show that treatment is considered medically necessary. To do this, a person will likely have to submit letters from doctors or other medical professionals, such as therapists; medical records; and the results of a clinical assessment. Receiving a clinical assessment is a critical part of the treatment planning process. This evaluation not only confirms that treatment is medically necessary, but it also illustrates exactly what therapies and methods would best benefit a person’s recovery. What is the drug of abuse? How long has the person been abusing the drug for? How frequently is the drug abused? Does the person abuse any other substances? How has the drug abuse altered a person’s health, relationships, and life? Does the person have a mental health disorder (a co-occurring disorder)? Has the person ever been to treatment before? Once this information is assembled, a treatment plan can be drawn up. For the best chance of recovery success, treatment should be customized to a person’s unique needs. For instance, if a person has any social or behavioral problems tied to addiction, treatment should help them learn appropriate coping methods that promote healing. Does Starmark Cover The Cost of Outpatient Substance Abuse Treatment? At every point during the treatment process, it’s important to consider the severity of the addiction and the ways its changed a person’s life. While outpatient treatment can be used alone, many people find that it’s more beneficial when used as a step-down program from inpatient treatment. Starmark health insurance may help a person to use outpatient treatment in this manner or as a standalone treatment. Outpatient benefits may vary depending on company size. Specifically, businesses with 50 or fewer employees may have different coverage than those with 51 or more workers. When used as a step-down program, outpatient care can help a person acclimate to the new demands of sober living. This flexible format allows a person to return to work or family life, should they choose, while still being active in a therapeutic community. Here, a person can continue to work on recovery principles, while also building important peer relationships that encourage sobriety. On its own, an outpatient program may offer too much freedom for certain people. Typically, after treatment is finished for the day, a person returns to their home. In the time before and after treatment a person may be exposed to temptation or relapse triggers that could compromise their recovery. For this reason, inpatient treatment is highly recommended for moderate to severe addictions. Does Starmark Cover The Cost Of Treatment At An Inpatient Rehab Center? Inpatient drug rehab programs typically offer more intensive therapies and time with treatment clinicians. The residential format these programs provide enhances the stability, security, and privacy that is so valuable during this time. Because of this, it’s important that a person fully understand their Starmark insurance coverage prior to choosing treatment. Like outpatient care, the specifications of coverage may change if a person’s employer has 51 or more employees. If a person’s Starmark benefits cover inpatient treatment, the duration of treatment and cost will be determined by the specific plan. While any length of treatment is more beneficial than none, research has shown that treatment lasting three months or longer typically offers the greatest benefit. Behavioral therapies are a cornerstone of many addiction treatment programs. Inpatient programs generally grant a person more time with these potentially transformative therapies. These psychotherapies may be offered in an individual, group, and/or family setting to help a person heal on both a personal level and within their relationships. Individuals who need to detox prior to rehabilitation should strongly consider inpatient treatment. Many residential treatment facilities provide detoxification services on site. This helps a person to transition smoothly from one stage of treatment to the next. People who are working to recover from alcohol, benzodiazepine, or opioid addictions are those who most commonly need a medical detox. Does Starmark Cover the Cost of Suboxone? Suboxone is used to treat opioid use disorders, such as those caused by heroin, fentanyl, or prescription painkillers (like Vicodin and OxyContin). Suboxone is an evidence-based medication that combines buprenorphine and naloxone. The Starmark Formulary Drug List outlines which drugs are covered. Treatment providers may have to submit a prior authorization request to Starmark on a client’s behalf before Suboxone can be prescribed. Once the insurance company has documentation showing that this medication is necessary, they should authorize the medication if a person’s plan covers it. Used during detox, buprenorphine helps to reduce or alleviate cravings and what can be uncomfortable and painful symptoms of withdrawal. Naloxone is added to reduce drug misuse and diversion, with the hopes of reducing future instances of drug abuse and addiction. While medications can produce excellent results during treatment, many people have better results when Suboxone is used in a medication-assisted treatment program. This combination of medication and behavioral therapies addresses the physical and mental impacts of addiction so that a person can more fully heal. Does Starmark Cover the Cost of Methadone Maintenance? Methadone is another evidence-based medication used in medication-assisted treatment programs. Methadone may be used in two ways. A treatment specialist can help a person to determine if methadone is right for their treatment needs and if Starmark covers this medication. Like Suboxone, it can be used during a medically supervised detox to treat cravings and other symptoms of withdrawal. Methadone maintenance programs help a person to reduce or stop using opioid drugs so that they can live a more fulfilling, healthier life. Selecting a treatment program can be overwhelming, but fortunately, understanding how to best use insurance benefits can give a person more treatment options. Should a person still need help paying for treatment, other options may be available. Some facilities accept scholarships or grants, an opportunity that can make private pay contributions and insurance go further. In addition to this, financing options or income-based sliding fee scales may make treatment more affordable. In addition to in-network providers, Starmark may offer some coverage for out-of-network providers. Understanding the provider network can make it easier to choose a treatment program. If a person is interested in traveling to treatment, Starmark benefits may be available. Traveling to treatment offers a person greater privacy, while also making it easier to focus exclusively on their recovery. Contact RehabCenter.net for more info on how insurance can help make treatment a reality.